The Clemons Lofts on the former site of Clemons Brothers. McCallie: The Civil Rights Act of 1964 says so! Moore: Do you own a Sears Roebuck home? Moore: Did you know about St. Elmo's other two cemeteries? The front page of the Chattanooga News on Nov. 23, 1922, announced with great fanfare the opening of a six-story furniture store at 730 Chestnut St. The public was invited to an open house to visit and inspect the handsome brick and marble, quarter-million dollar structure that would house the business of the three Clemons brothers. Terrell, Will and Charles Clemons grew up on a farm in Robinson County outside Murfreesboro, Tenn., and came to Chattanooga in the late 1890s to sell industrial disability insurance for the National Life and Accident Insurance Co., headquartered in Nashville. Looking for greener pastures, the brothers in 1902 opened a furniture business with a few small pieces in one small room of their house at 610 Pine St. Beginning with $900, part of which was used to buy a horse and buggy, they traveled to homes of potential customers to take orders. Within a few months they had accumulated sufficient capital to move to a 15-by-18-foot room above the Willis Livery Stable. In 1904 the firm turned to 413 West Eighth St. to occupy a one-story 25-by-60-foot building, where they stayed for six years. In 1910 the Clemons built a four-story structure to house one of the most successful furniture stores in the state. The three brothers were known to have pleasing personalities and great energy. Full page ads for the store's final location in a special section of the newspaper in 1922 described every aspect of the many types of services and equipment needed to furnish a modern home. Complete lines of furniture from quality manufacturers throughout the country were described in great detail. Living room, reception hall, dining room and bedroom furniture were all noted as being of top quality and affordable to the average family. Bohn-Syphon refrigerators bearing the Good Housekeeping Seal of approval were available under an exclusive dealership with Clemons Brothers for the Chattanooga area. In addition to oil heating products, the brothers advertised Coles Hot Blast (coal burning) Stoves with their professional efficiency and economic cost of operation as providing an offset to rising coal prices. Cedar chests and wardrobes and decorated porcelain dinner sets were also available. Every vendor, manufacturer and supplier was lavishly praised for helping to supply the 100,000-square-foot, six-story building and large basement. Each floor had a specialty. Various kitchen appliances were displayed in the basement. The first floor housed the corporate offices, shipping department and showroom space. Rugs, floor coverings and draperies were located on the second floor. Living room furniture was available for inspection on the third floor while dining room and breakfast furniture filled the fourth floor. The fifth floor held bedroom furniture. Surplus of all types was stored on the sixth floor. Many prominent business and professional men gave glowing endorsements on the front page of the newspaper's 1922 special section. Paul Kruesi, J.B. Pound, Robert J. McClellan, E.Y. Chapin, S.J. McCallie and Mayor A.W. Chambliss released statements in support of this latest addition to Chattanooga's downtown business district. Following the deaths of Terrell Clemons in 1933, Will in 1943, and Charles in 1945, the business changed ownership several times. Earl W. Winger Sr., co-owner of radio station WDOD, held controlling interest in Clemons Brothers from 1946 to 1956, and Ralph Clemons, son of one of the founders, Will Clemons, served as its president. In May 1962 the furniture company announced that it was closing as a result of a 50 percent drop in business caused by the razing of the West Side. Several months later, Clemons and Wheeler Inc. became the new occupant of the premises. A year later the business filed for bankruptcy. At a time when Miller Brothers, Lovemans, Fowler Brothers, Haverty's, The Hub and other retailers were also leaving downtown, the original Clemons building became the property of the BlueCross Blue- Shield and served as one of several office buildings for employees. With the completion of the modern BlueCross complex at Cameron Hill, the building at 730 Chestnut St. became a surplus property and sat vacant for several years. 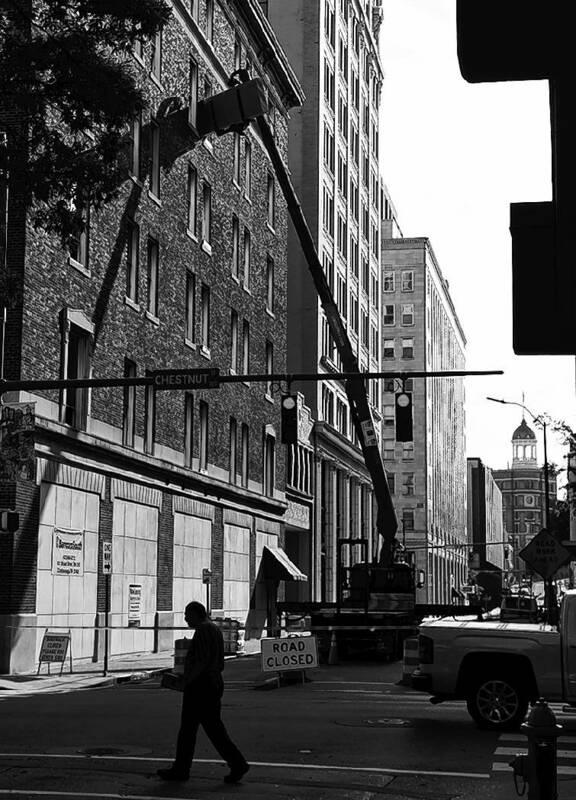 Today the Via Nova Development Co. is pumping new life into the well-constructed historic building with the opening of The Clemons Lofts, 54 apartments marketed as "City Living in the Heart of Downtown Chattanooga." This redevelopment of the Clemons building represents another step in the rejuvenation of downtown Chattanooga in the 21st century. Jerry Summers is an attorney with Summers, Rufolo and Rodgers. For more visit chattahistoricalassoc.org.